Are you ready for the next generation in stem cell therapy? TRT/MTS SoftWave is a noninvasive therapeutic device using a patented breakthrough method of shock wave generation that brings unprecedented advantages to sports med and regenerative medicine in rapidly relieving chronic pain and greatly accelerating recoveries with sustaining results. This is not incremental, it is transformative and unique. Immediately shuts down the inflammatory response at the treatment site. This has been linked to modulation of various signaling molecules, including TLR3 and NO. Results are typically immediate and sustained relief of chronic pain and release of adhesions. Restored range of motion is a common effect. Sustained improvement of blood flow. This has been linked to the release of VEGF and other key growth factors and cytokines, as well as a boost in ATP, leading to neo angio/vasculogenesis at the treatment site and regenerative effect. TRT SoftWave (called MTS SparkWave in Europe) is scientifically validated to recruit and activate endogenous stem cells. Additionally, SoftWave elicits biofeedback by which “origins of pain” can be precisely identified, serving an invaluable role in treatment effectiveness. One to three noninvasive, atraumatic applications are all that is typically needed in many instances. SoftWave does not create, nor does it rely on, micro traumas to work. Instead, it gently causes cells to shed microvesicles, which puts healing cascade communication rapidly into play. Near-immediate pain relief in certain conditions. A wave delivery zone thousands of times larger than focused or planar designs. Demonstrably more efficient and effective. Typically, 3 applications or fewer needed. Real-time biofeedback provides precision guidance of application to problem origin areas. No need for imaging or trigger point references. The only Unfocused Electrohydraulic ESWT available in North America, and it has FDA 510(k) clearance. Top choice of many sports legends, active and retired. Has helped thousands heal and recover in record time. It’s best to refer to the device as “softwave therapy” as there is much confusion regarding “shock wave therapy” since many manufacturers produce devices that do not actually create a “shock wave” yet are marketed as such. This has created confusion in the market place as well as turned off many to the technology since the mislabeled devises produce inferior results. Radial Pulse Therapy (radial/ballistic devices go by many names rSWT, rESWT, RPT, EPAT, and many others). They do not produce a true “shock wave” as defined by physics (they produce a sound wave), they work on a different principle, and they are comparatively very limited as to what they can treat. Radial Pulse devices have been incorrectly referred to as “shock wave” for so long that it has stuck, though it is technically not correct. Electromagnetic (Scientifically shown not to be high enough energy to produce an actual shock wave, little published science, many applications needed). Unfocused (SoftWave). TRT owns the patents to unfocused ESWT (as well as several key processes – see attachment) in North America and utilizes the electrohydraulic method to generate the waves. SoftWave (called Spark Wave & Ortho Wave in EU) is non-traumatic to tissue or cells, the treatment zone is thousands of times larger than focused or planar, it has far more published science than any other ESWT device, it is scientifically validated to elicit a strong anti-inflammatory effect and to recruit/activate endogenous stem cells, to vascularize tissue, to promote healing, and to kill pathogens. “Although the ballistic source investigated marketed both the terms “shock wave” and “focused’ the device technically does NOT generate a focused shock wave. Electrohydraulic (EH) sources employ focusing by means of a reflector and generate chock waves at the spark source; for all settings the EH results in a shock wave at the focus. Electromagnetic and piezoelectric sources also use focusing but do NOT generate shock waves at the source. 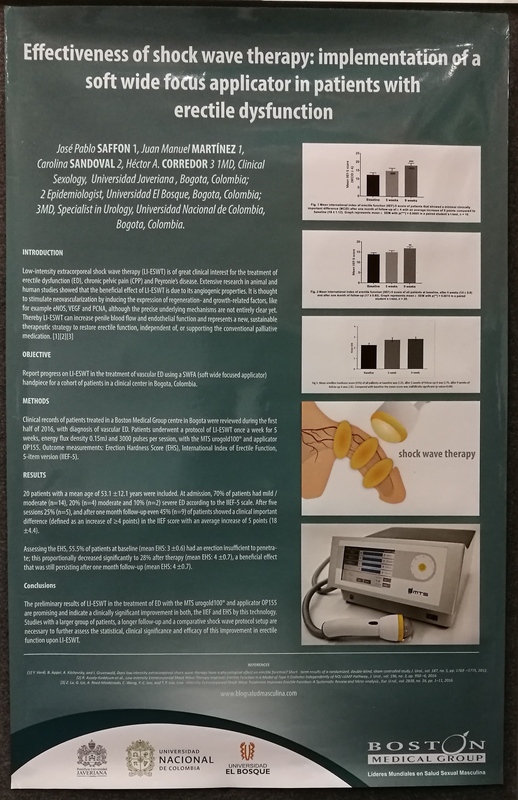 Patented TRT/MTS SoftWave therapy ESWT technology stands alone in the industry with quality and quantity of peer-reviewed published scientific literature validating mechanisms of action at molecular and cellular levels. All “shock wave” devices are not created equally, and one must be sure to read the scientific research applying to each specific device, if one is to gain an accurate understanding of the particular device one is seeking to learn about. Many “shock wave” distributors list studies on their websites that did not use the specific device they offer, but are presented as if they did. AcoustTek only lists scientific studies that used TRT/MTS devices. Review some supporting RESEARCH below. The best kept secret in professional sports is becoming understood as the silver bullet in a team’s armamentarium. Top Sports Med clinicians across the country have been quietly using SoftWave for years on injured star athletes, seeing unprecedented acceleration of recovery times. As success after success mounts, SoftWave is now becoming more widely understood to be the profound advantage that makes a tangible difference to who plays on the field and who stays in rehab. In the athletic population, these outcome potentially increases career longevity to sports institutions these outcomes could provide investment security against over use injuries. Promoting favorable cellular communication, interaction and integrity. Our investigation suggests that this favorable cascade may not be restricted in pathology but in healthy subjects as well. Can we prevent overuse syndromes by increasing muscle resilience? Can we assist athletes achieve their goals more safely and effectively?